industry in the South East Asia region. 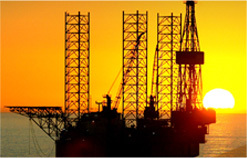 Crystal Offshore is a recognized one-stop Logistics Solution provider to the Marine & Offshore Industry. We serve Oil majors, Drilling contractors, Service companies, FPSO operators, Offshore Fabricators, Rig Building and Conversion yards.